This is Manny. 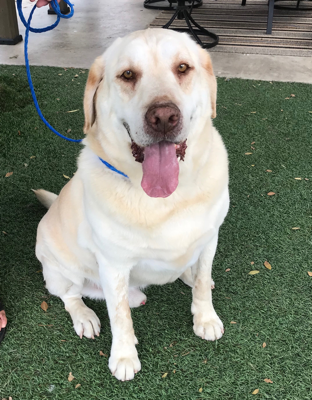 He is a beautiful, 6 year old Yellow Lab. He is a big boy, about 100 pounds. He is very loving and well behaved. He would go for walks at the park and would not even chase the ducks at the lake. Heâ€™s been kind with the grandchildren. He has not had the privilege of living in the home and was stuck in a dog run on the side yard. The owner turned in because he wanted a better life for him. Manny has a great temperament and will make a wonderful companion.